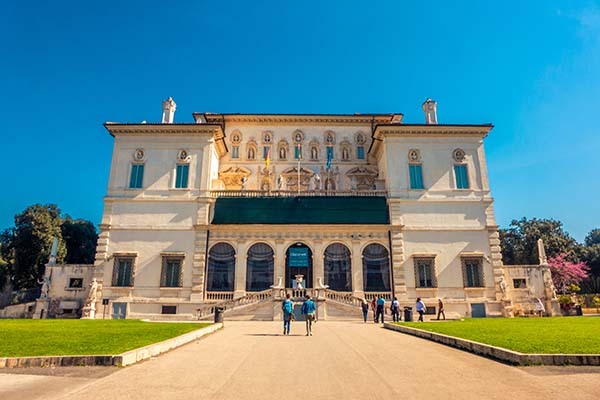 All information about visiting Galeria Borghese in Rome, a museum with one of the largest art collections in the world and the public park in Rome called 'Villa Borghese'. Metro Stop Flaminio (Line A), a 1.5-kilometre walk through the park after that. A small train also runs through the park. The Galleria Borghese contains one of the largest private art collections in the world of cardinal Scipione Borghese. The museum collection covering twenty rooms consists of antiques, sculptures and many paintings. This gallery contains several well-known works, particularly from the Renaissance, including the statues ‘Apollo and Daphne’ by Bernini and paintings by Caravaggio, Rubens, Leonardo da Vinci and Sanzio Raphael. Important: Would you like to visit the gallery? You will definitely need to make a reservation online. For every two-hour timeslot, only 360 visitors are allowed to enter. Metro The metro stop Flaminio (Line A) is located in front of the main entrance of the park on Piazza del Popolo. 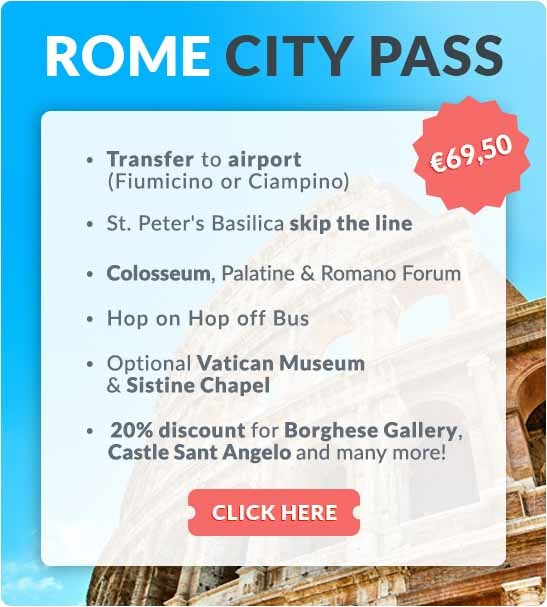 You can also enter the park via the metro stop Spagna, near the Spanish Steps. Around the Gallerie Borghese on Pincio hill, you will find the former estate that had been owned by the wealthy Borghese family since 1580. Cardinal Scipione Borghese commissioned the vineyard to be converted into a park. Building of the Villa Borghese Pinciana was completed in 1633. It also included the construction of other buildings, including an aviary and orangery. During the 19th century the park received a major overhaul and converted to the English style with various ponds and fountains. Eventually, the park was bought by the municipality of Rome in 1903 and was made a public park. It is now the largest park in Rome and a perfect place to get away from the bustle of the city. Villa Giulia, the 16th-century summer residence of Pope Julius III. Now a museum for Etruscan art (before Roman times) More info Museo Nazionale Etrusco. Villa Medici, a 16th-century mansion built by the archduke of Tuscany that is now home to the Accademia di Francia a Rome. Guided tours of the building are available. Reservations and info. Bioparco, the zoo of Rome that is over 100 years old. The zoo was ahead of its time without small enclosures and bars, but lots of greenery and space for the animals. More info Bioparco. A number of pavilions from the 1911 World's Fair are located along the Viale delle Belle Arti, including the museum of the Galleria Nazionale d’Arte Moderna. This is the national museum for modern and contemporary art (19th and 20th century), primarily by Italian artists with a collection of over 5,000 paintings and sculptures divided over 75 rooms. More info. 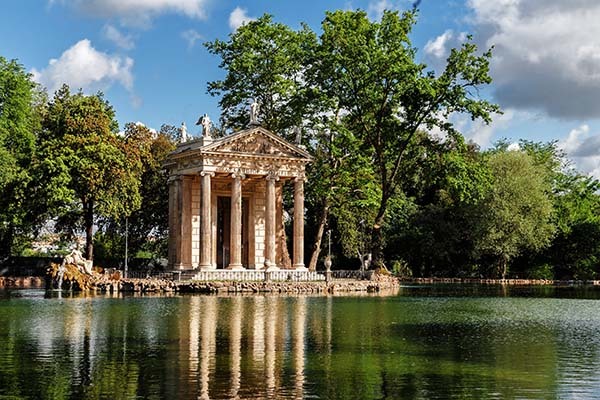 Where is Villa Borghese located in Rome?